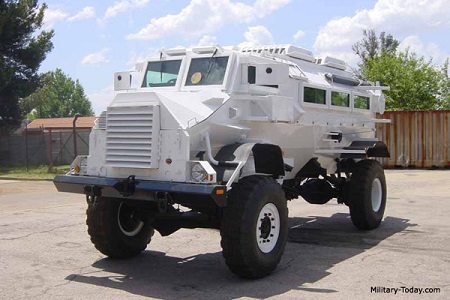 Last week, the news was full of reports on the arrival of three of the four Casspirs (mine-resistant ambush protected vehicles) that have been ordered by the eThekwini Municipality. We first heard about the order of the Casspirs in 2017, when it was reported that the Municipality was ordering four Casspirs at a cost of R23.8 million (€1.556 million) due to the escalation of what they call service delivery protests and land grabs or land invasions. This week we were told that Deputy Mayor Fawzia Peer was elated at their arrival and that they would be used against protests and land grabs. The cost is now reported to be R27 million (€1.765 million). We read that They are air-conditioned and officers can access the roof via hatches and shoot through holes cut into the glass and that Fawzia Peer believes that the arrival of multimillion-rand Casspirs will strengthen the city`s fight against land invasions and protests. If the ANC had any real progressive commitments, they would see protests as a democratic question and engage them as an opportunity for discussion. They would see the land question as a question of justice, understand land occupations as land reform from below and work to put the social value of land before its commercial value. Photo: A Casspir, featuring a specially-shaped under-hull plates intended to reduce the effects of land mines. Source: Military-Today.com.